United Airlines expects to fly 2.2 million travelers this weekend. The airline will operate more than 5,300 flights on the Sunday after Thanksgiving alone. CNBC got an inside look at the United Airlines Flight Training Center in Denver to find out what it takes to become a pilot of a commercial airline. At nearly half a million square feet, this facility is one of the world's largest airline training hubs. All of United's 12,000 pilots come through for initial training and return every nine months to stay up to date on flight procedures and safety protocols. The campus has 31 simulators, each costing $15 million to $20 million. And United plans to have a total of 40 in the next 12 to 18 months. 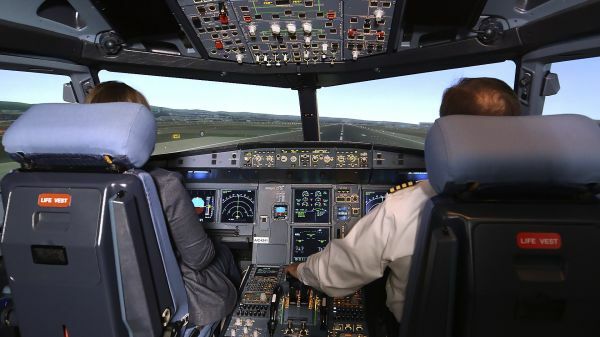 Pilots must complete training in the simulators before flying in real planes. Watch what it was like for CNBC's Erin Black to fly a United Airlines Airbus A320 simulator.